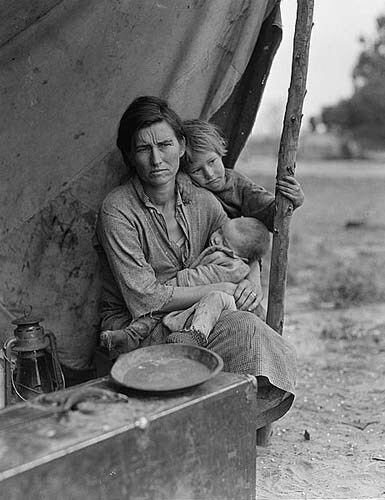 Assignment 2 now due on Blackboard! Ansel Adams, Clearing Winter Storm, February 23, 1935. 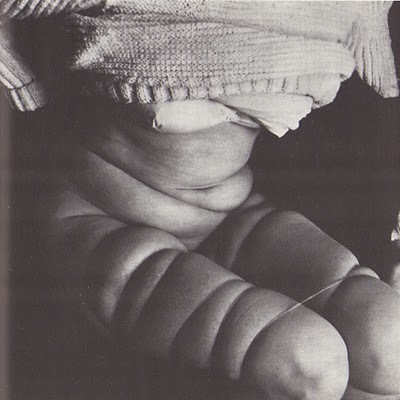 Hans Bellmer, La Poupee, c. 1934. 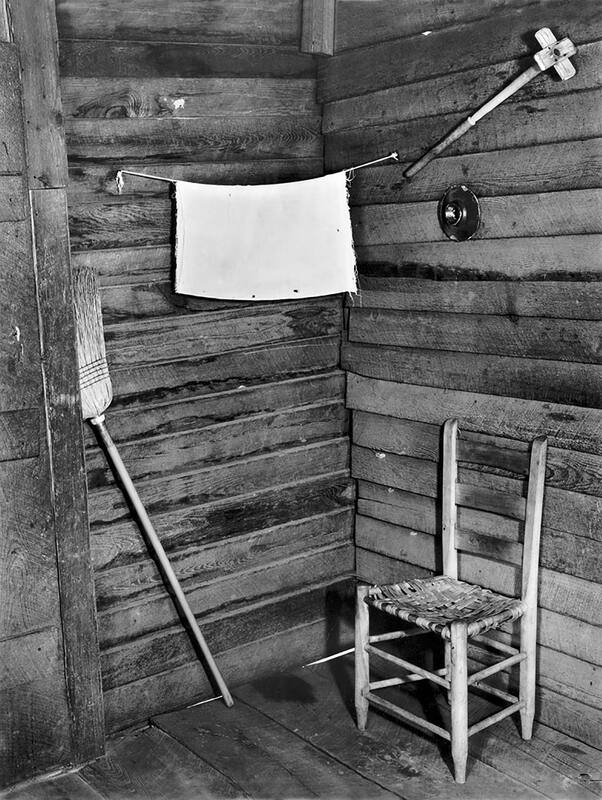 Gelatin silver print. 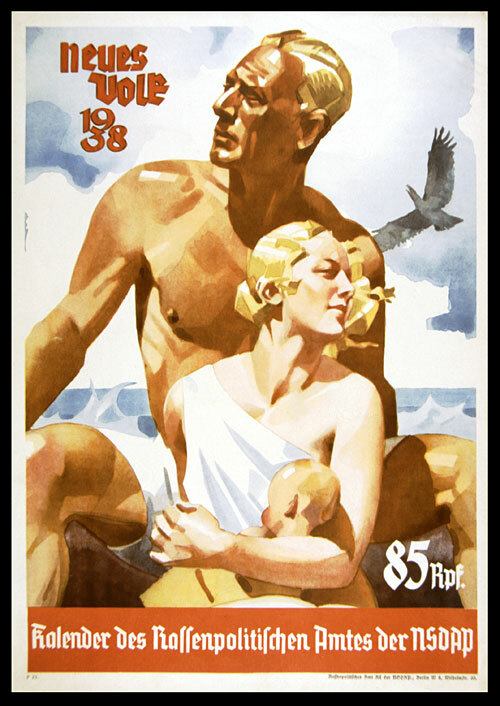 "Pure Arayan Family" Neues Volk Cover, 1938. 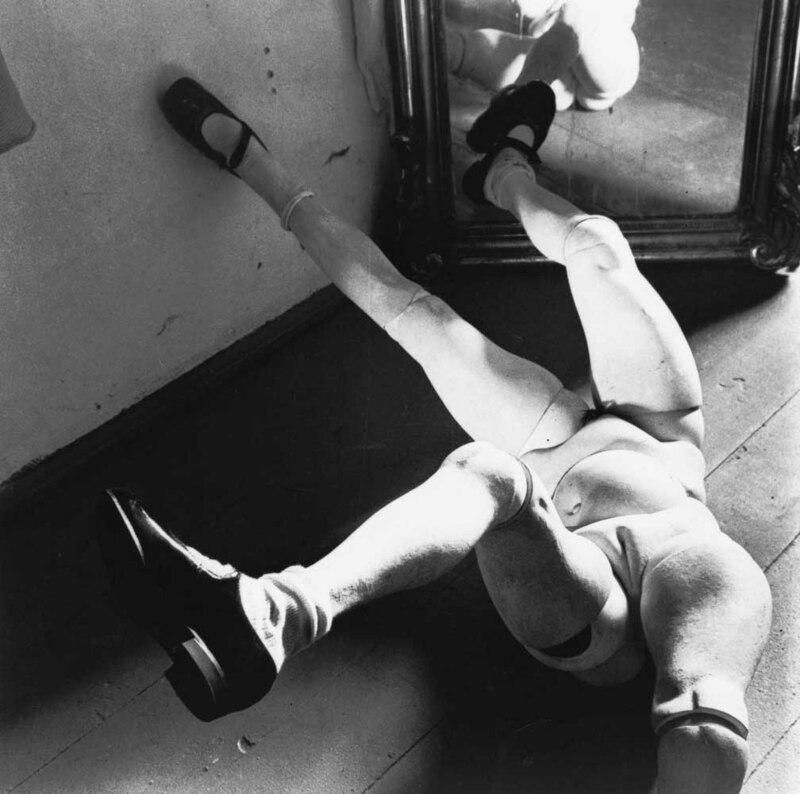 Hans Bellmer, Woman Bound, 1958. 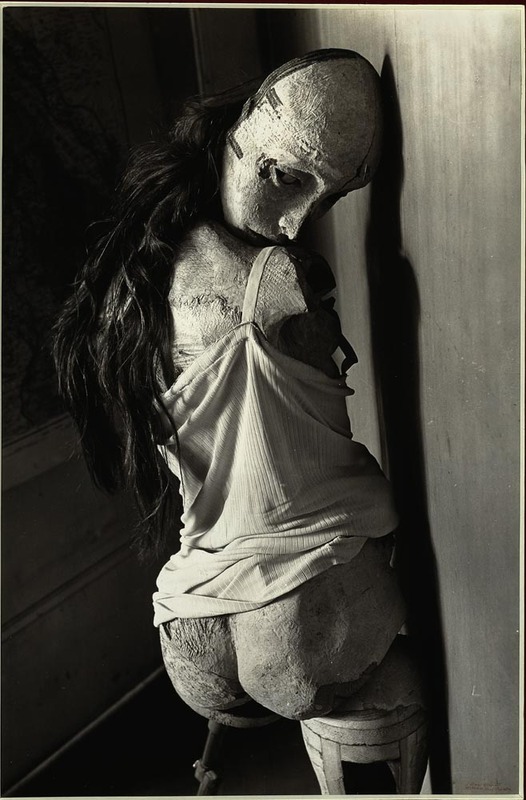 Hans Bellmer, La Poupee (The Doll), c. 1934. 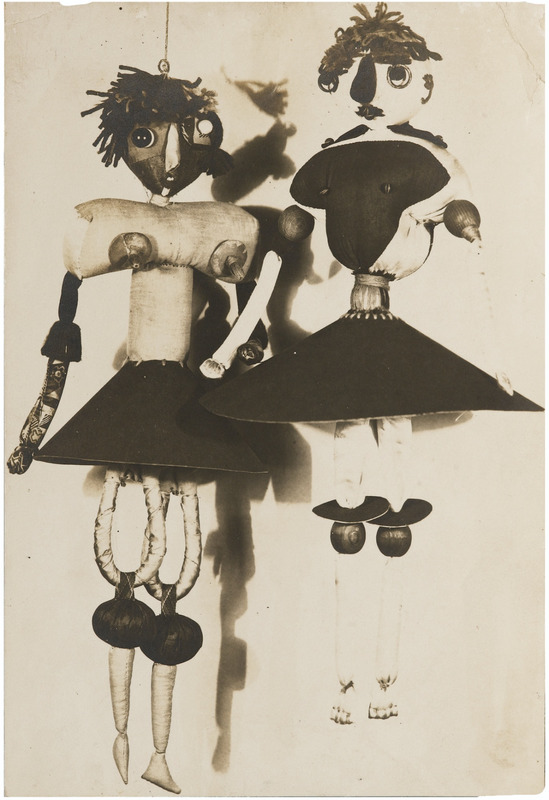 Gelatin silver print. 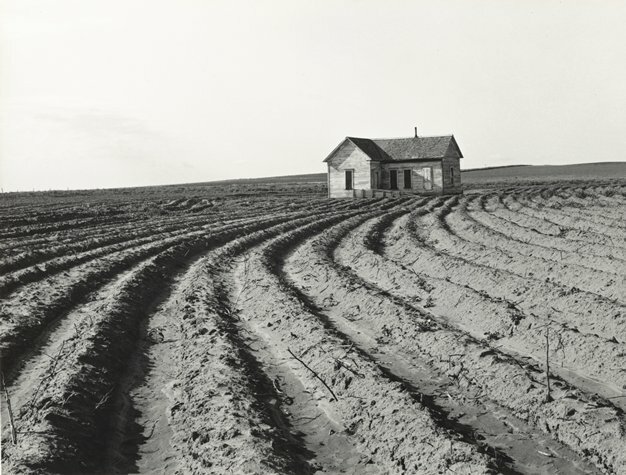 Dorothea Lange, Tractored Out, Childress County, Texas, 1939. 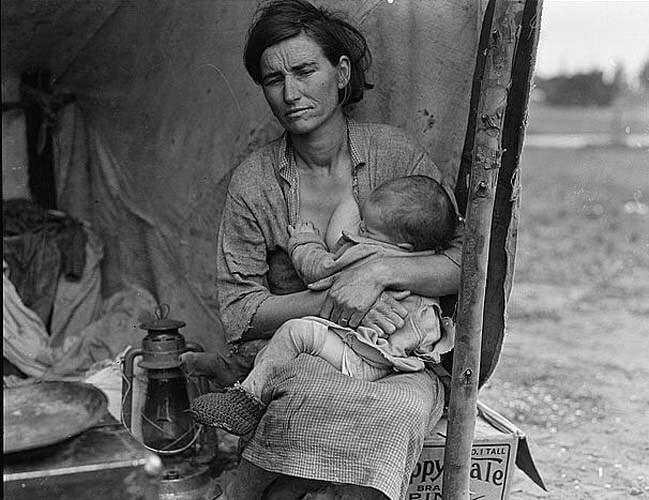 "I saw and approached the hungry and desperate mother, as if drawn by a magnet. I do not remember how I explained my presence or my camera to her, but I do remember she asked me no questions. I made five exposures, working closer and closer from the same direction. 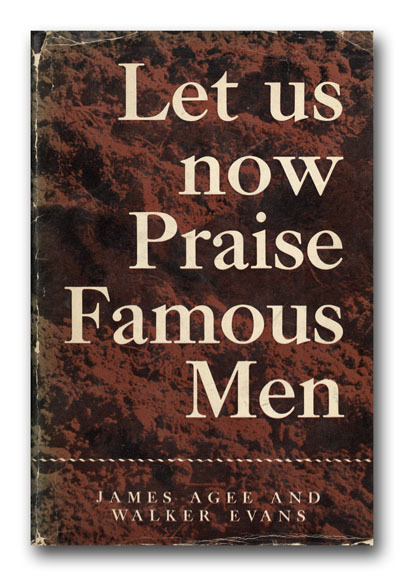 I did not ask her name or her history. She told me her age, that she was thirty-two. 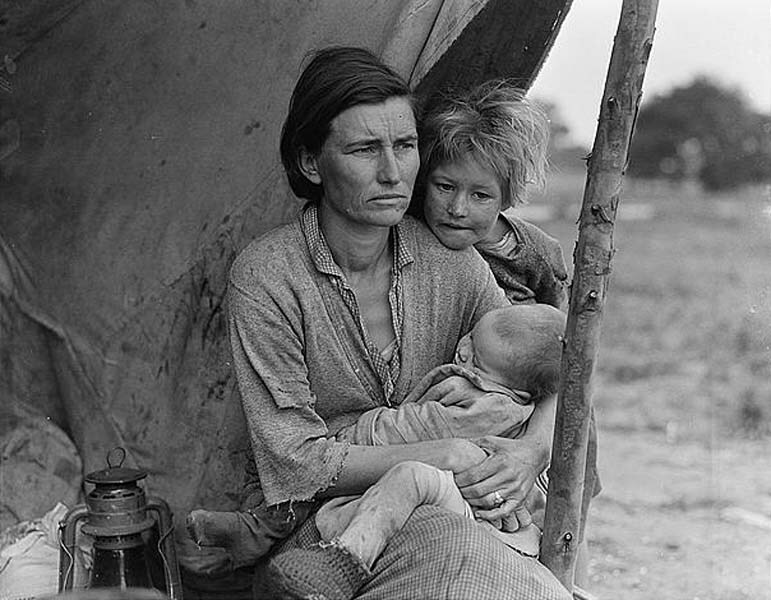 She said that they had been living on frozen vegetables from the surrounding fields, and birds that the children killed. 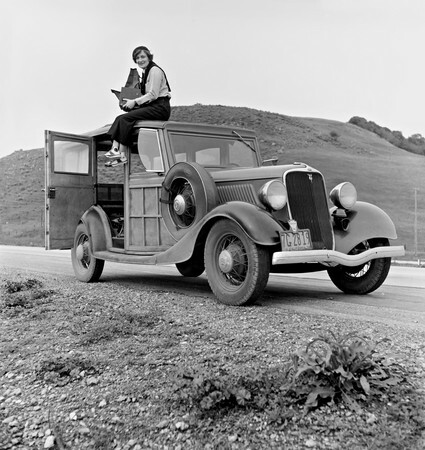 She had just sold the tires from her car to buy food. 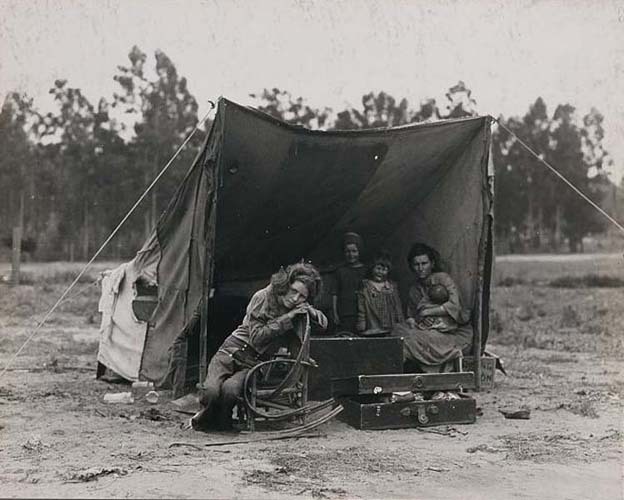 Dorothea Lange, Migrant Mother, Nipomo, California, 1936. 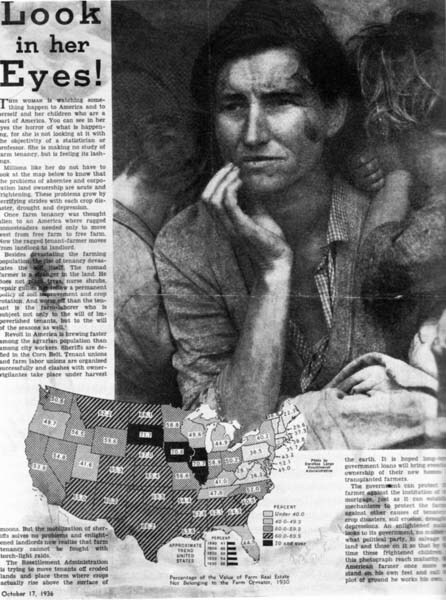 Midweed Pictorial spread using Migrant Mother image. 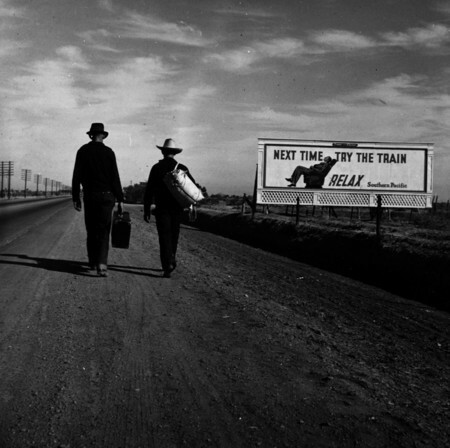 October 17, 1936. 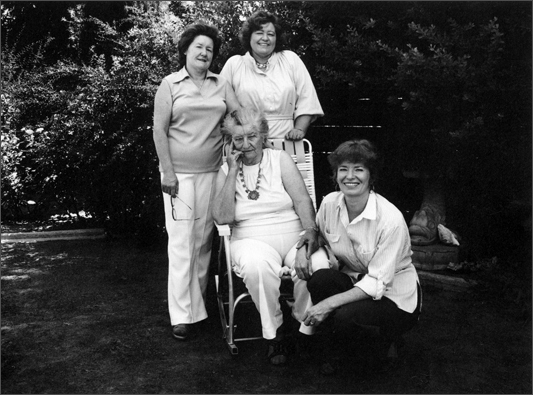 Bill Ganzel, Florence Owens Thompson and her daughters Norma, Katherine and Ruby, 1979. 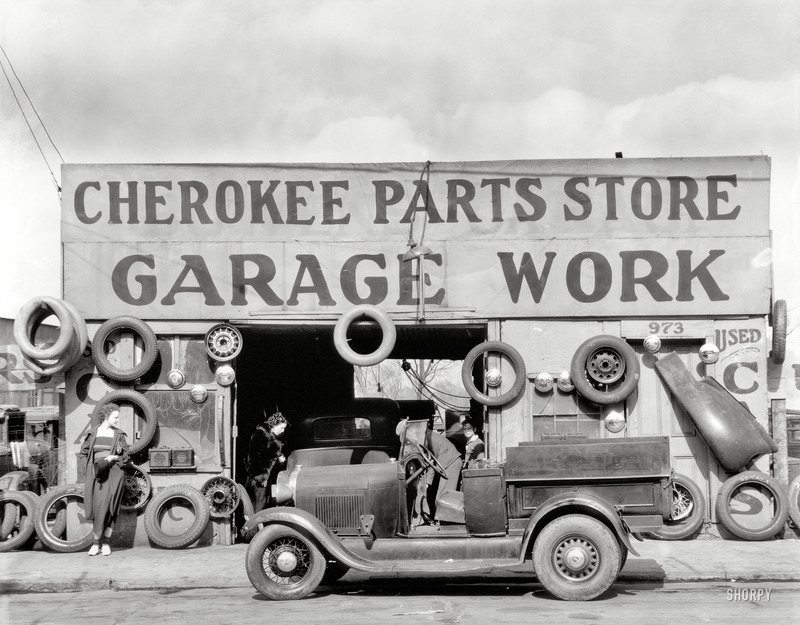 Walker Evans, Car Parts, c. 1930. 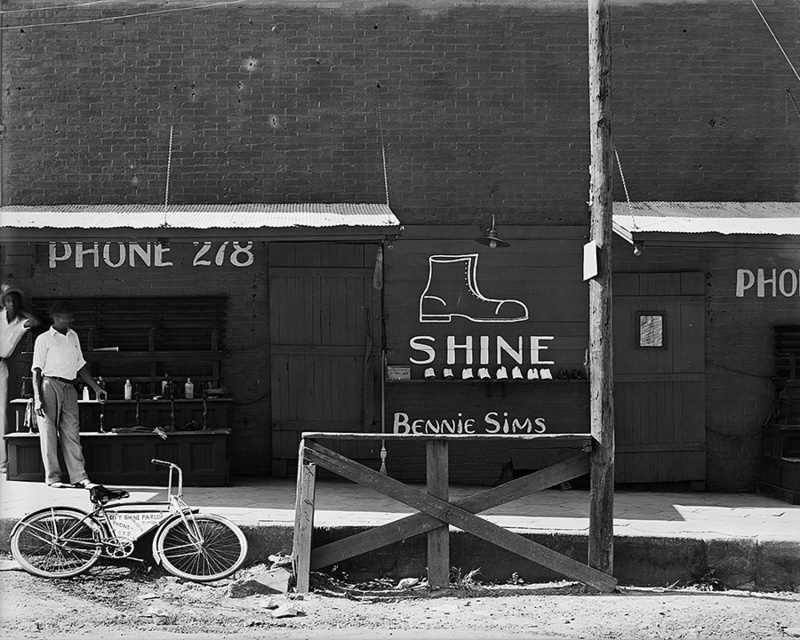 Walker Evans, Shoeshine Stand, 1936. 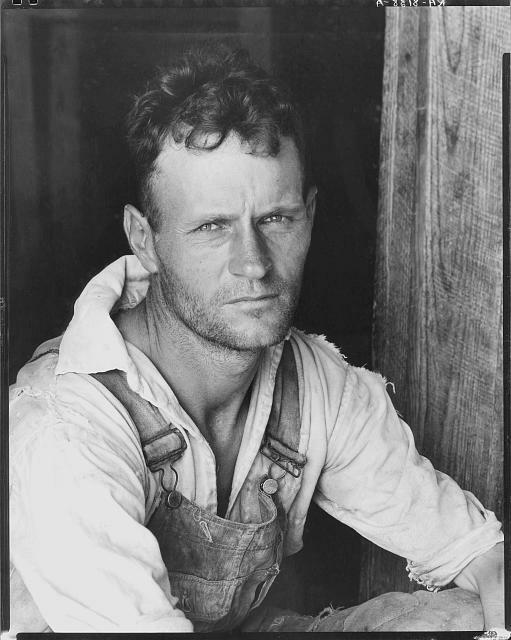 Walker Evans, Floyd Burroughs, 1936. 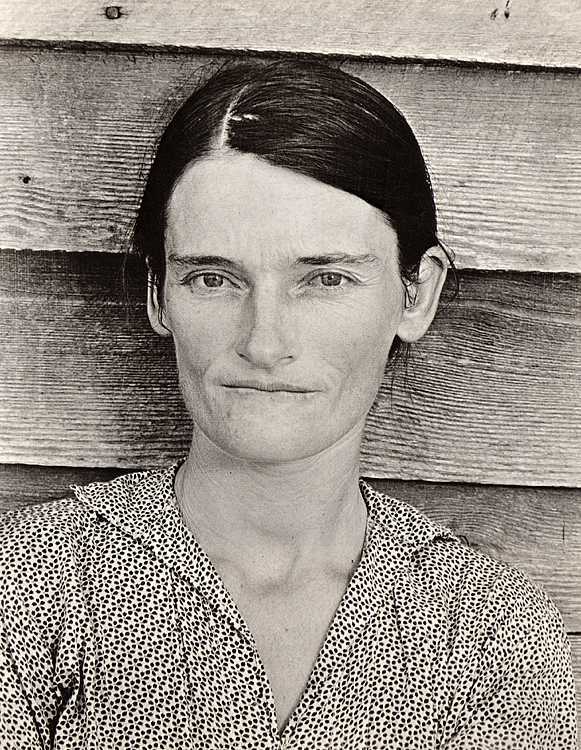 Walker Evans, Allie Mae Burroughs, 1936. 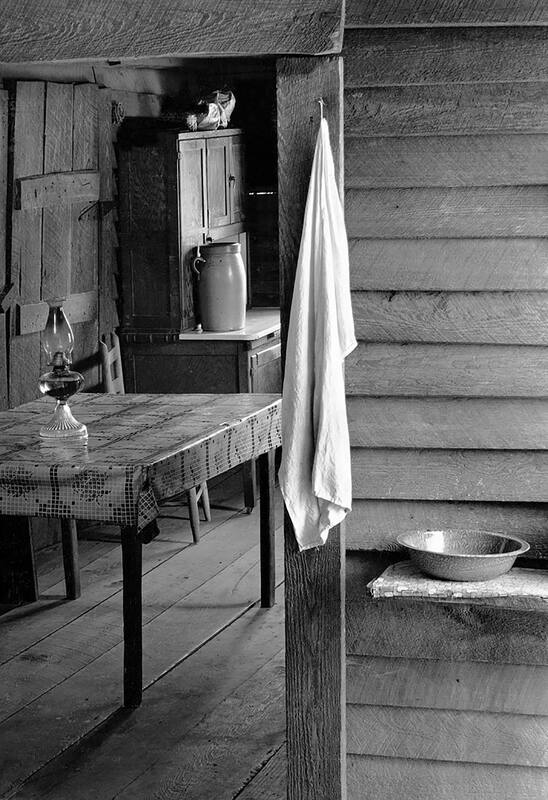 Walker Evans, Kitchen Corner in Floyd Burroughs' Home, 1936.